I've been trying out Furry Paws Supply Pet Urine Odor and Stain Remover for the past few weeks. The previous owners of our home left some lovely pet stains and odors behind, and I've had a time getting them to go away! This has definitely helped with both. It's got a very pleasant,clean scent, and it's helped several old stains and smells to disappear! I just followed the easy directions and it's been a great addition to my cleaning supplies. The funny thing is that it also keeps our new kitten away from those spots after I treat them. She checked one place out, but stayed away from the others. The company said it would keep pets from revisiting spots, and that seems to be true! We've been very pleased with this spray remover. Our enzyme based commercial strength cleaner has a fresh clean fragrance so no harsh chemical smell. Unlike many other stain and odor removers, we use a commercial grade Enzyme based formula, not harsher chemical based formulas. Harsher chemical-based formulas can damage your carpet and other floor surfaces, and often end up replacing one bad smell with another. 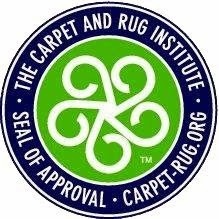 Advanced formula product is formulated and manufactured in the USA and has earned the seal of approval from the Carpet and Rug Institute as being safe to use on your carpets. Great post! Bringing home a new dog, whether it’s a puppy or an adult, is like bringing home a new baby – you need to be prepared, and you need supplies. So, I was looking for articles on buying pet supplies and then I came across yours inspiring read. Thanks!